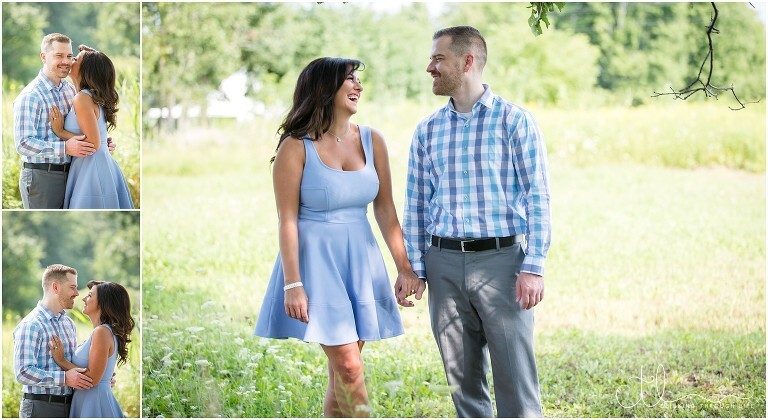 Jessica and Tom are engaged! 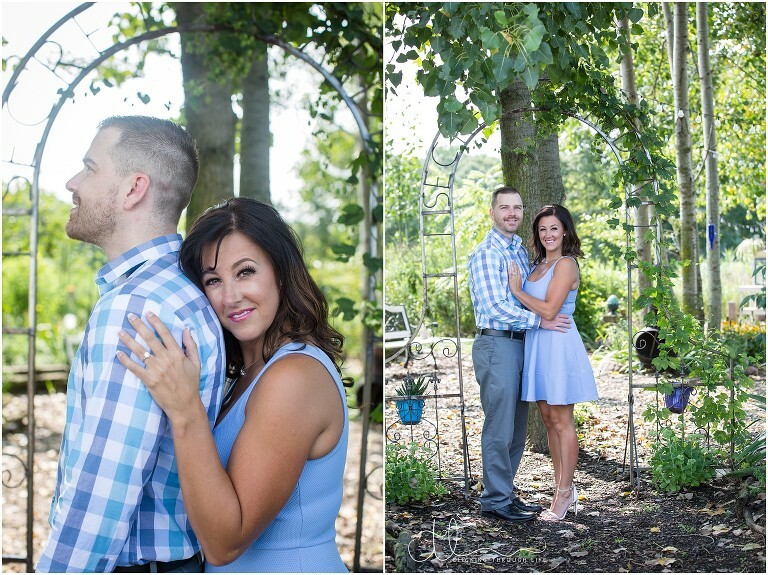 Jessica and Tom came out to Hoppily Ever After Farms for their engagement session, and they were so much fun to work with. They were so comfortable and relaxed around each other, and it really shows in their photos. 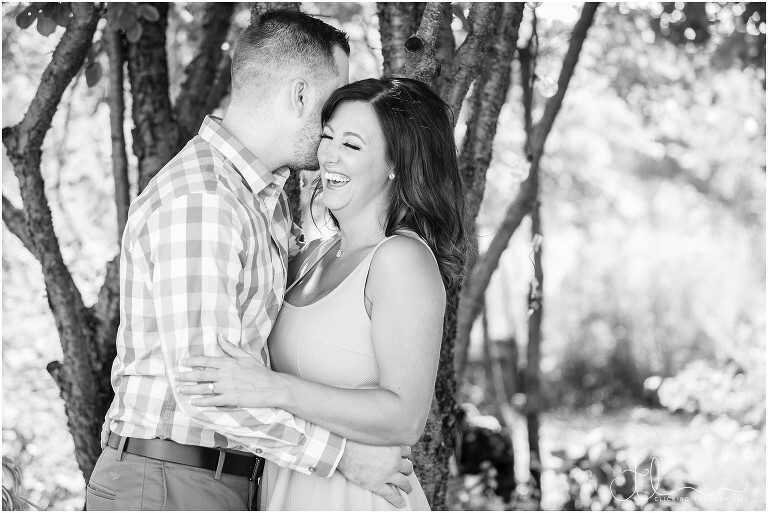 It was a beautiful day to wander the gardens and get out in the hop fields, and they just laughed, cuddled and kissed the entire time, it was so sweet. They had a lot to smile about, too – their fabulous destination wedding in Jamaica was coming up fast! Irie, mon! Cheers to the happy couple and the next chapter of their love story!